In news that will be welcomed by tech lovers everywhere, Steve Jobs’ childhood home could soon be turned into a protected landmark – because he invented the first Apple computer in its garage. Just two years after the icon’s death, the Los Altos Historical Commission is considering an application to turn the local property into a place of historical significance. If successful, the single-storey 2066 Crist Drive home will be preserved in Jobs’ memory, limiting future structural modifications. 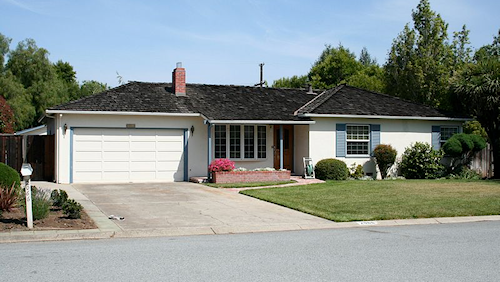 Jobs, who lived in the property throughout his childhood, used the attached garage as something of a workshop with friend and future Apple co-founder Steve Wozniak. In 1976, the pair assembled the first 50 Apple computers there, before selling them to Paul Terrell’s Byte Shop (one of the first PC retailers in the world) for $500 each. It wasn’t long after this that Apple Inc. was officially born. Though the legendary inventor’s fans are no doubt pleased by the news, the application has attracted some controversy. The home’s current owner, Jobs’ sister Patricia Jobs, was reportedly not informed of the preservation effort until she read about it in an article. Though she is said to be supportive of the endeavour, she is concerned about what it means for her stepmother Marilyn Jobs, who currently lives in the house. According to Mercury News, Marilyn has placed a small notice in front of the house that says, “All photographs must be taken from the sidewalk!” to ward off curious Apple fans that regularly visit the property. City planners claim they do not need the owner’s permission to go ahead with the application. To quality for protection, Los Altos properties must be “associated with the lives of persons important to the local, California or national history,” among other criteria, which shouldn’t be a problem for the ranch-style home. 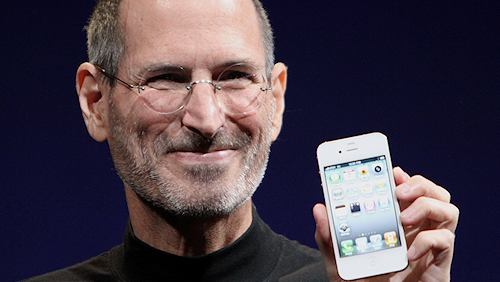 “Steve Jobs is considered a genius who blended technology and creativity to invent and market a product which dramatically changed six industries — personal computers, animated movies, music, phones, tablet computing and digital publishing. The historical commission will announce their decision about the property within the next two months. Ferris Bueller House Slashes Asking Price House Rules Winners Crowned Is Your Credit Killing Your Chances of Getting a Home Loan? Angelina Jolie Calls Australia Home – But Where?